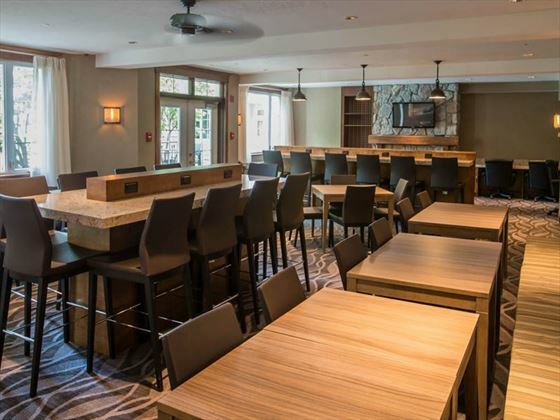 The Holiday Inn Express & Suites Tremblant sits in the heart of the pedestrian village, surrounded by an outdoor adventurer’s ultimate year-round playground. 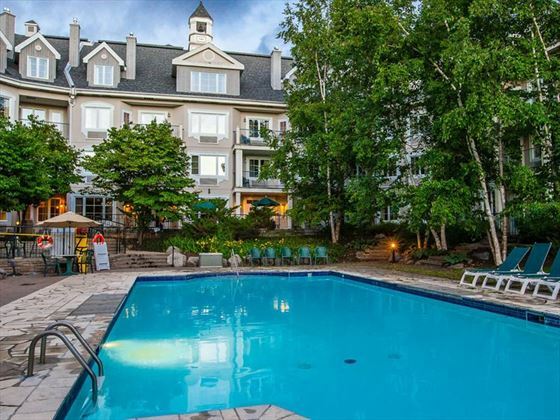 Guests are just steps from Mont Tremblant’s famous slopes, and enjoy easy access to two championship golf courses, water sports on Lac Tremblant, a wealth of shopping and dining venues, and more. 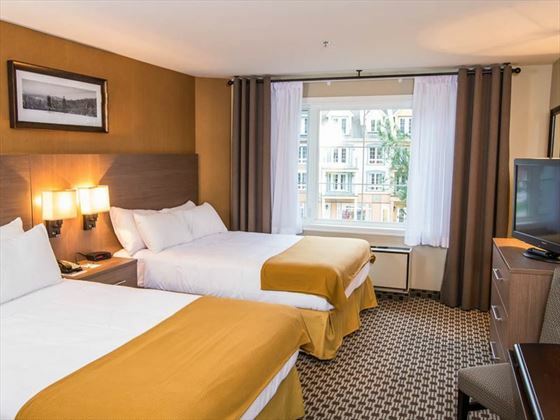 The hotel itself offers a choice of comfortable, completely renovated rooms and suites, along with a number of desirable facilities onsite. There are ski and snowboard lockers for storing your gear, as well as a sauna and outdoor hot tub to relax in and soothe those sore muscles after a day of play. 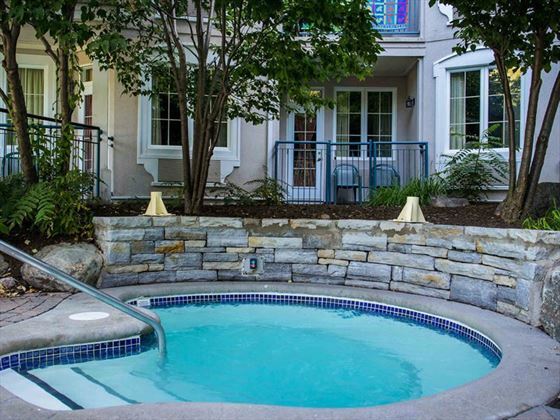 During the summer months, look forward to taking a refreshing dip in the outdoor pool too. The hotel also hosts a fitness room so you won’t have to miss your workouts, while the free continental breakfast will help get you fueled up for a busy day. 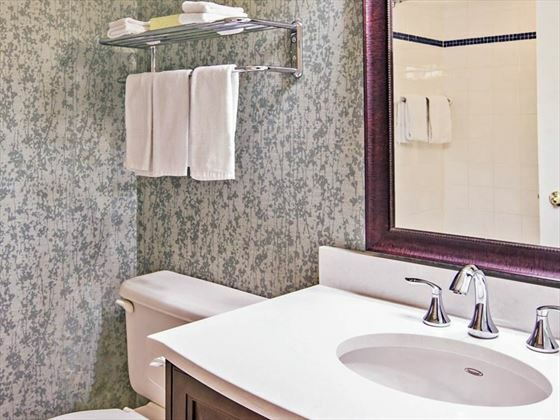 Standard Room – This room includes one queen-size or two double-size beds and all standard amenities. Deluxe Room – The Deluxe Room includes a queen-size bed and a double-size sofa bed, along with all standard amenities. Queen Suite – The Queen Suite has a queen-size bed in a separate bedroom and a sofa bed in the living room as well as a full kitchen with a dishwasher and a gas fireplace. 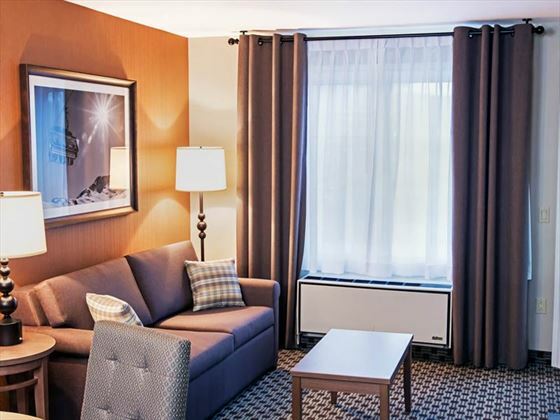 Executive Suite – The Executive Suite features two queen-size beds and a double-size sofa bed as well as a separate sitting area and a full kitchen. 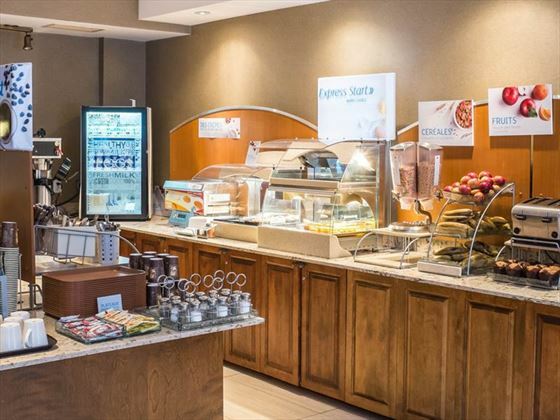 The hotel offers a complimentary Express Start Breakfast, however there is no restaurant or bar onsite. Multiple eateries are nearby in the Pedestrian Village. 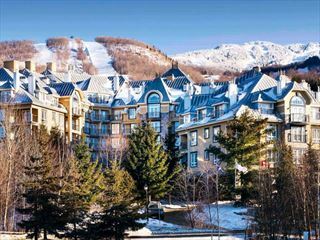 This Mont-Tremblant Village property offers ski-in/ski-out access and is within a short walking distance of the Mont-Tremblant Activity Centre and Skyline Luge Mont-Tremblant. 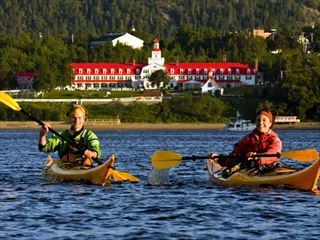 Surrounded by lush scenery, the L’Ermitage du Lac is a boutique hotel that makes for an ideal escape, where guests can enjoy tranquility, comfortable rooms, and plenty of space for stretching out. 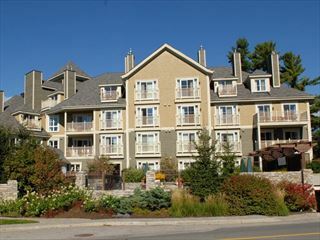 Set in an idyllic location, offering a slew of amenities onsite.